Ralph Ring, now aged 72, was aboard that incredible and successful test flight. 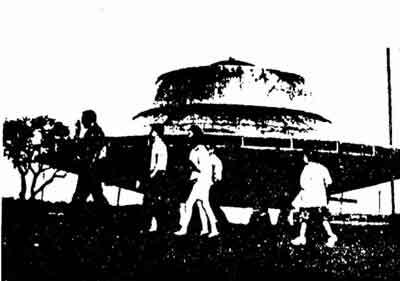 He and Carr, with their 45-foot saucer, transported themselves 10 miles at the speed of light! 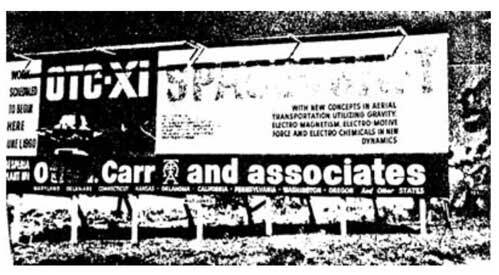 ‘(Carr)…was an unquestioned genius. Tesla had recognized his quality immediately and had taught him everything he knew. He was inspired, and – like Tesla – seemed to know exactly what to do to get something to work. The above statements are from 1957. They knew THEN not to rely on petroleum. Little could they imagine the hell wrought by the Oil Companies 50 years later! Consider the International Geophysical Year of 1957. A reported 67 countries were involved in a scientific effort that lasted from 7/1/57 to 12/31/58. The team studied aurora and airglow, cosmic rays, geomagnetism, gravity, ionospheric physics, longitude and latitude determinations, mapping, meteorology, oceanography, seismology and solar activity. The year 1957 was also the year of Sputnik. Read this writer’s article called ‘The Day Venus Stood Still’ and discover another very weird event to take place in that fateful year: Possibly, the landing of (human-like) Venusians that became guests of the U.S. Pentagon. Read Frank Stranges’ book ‘Stranger at the Pentagon.’ These world-changing occurrences happened in the same year that Otis T. Carr announced that space travel and saucers are possible; a new age for humankind will soon be made available to the public. 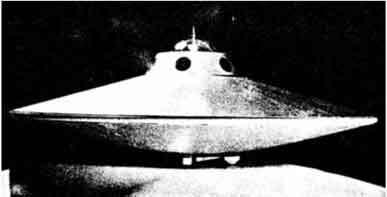 Do you believe in the possibility of flying saucers coming to this planet, the planet Earth, from other planets? OTC: We believe that there are unidentified, electrified objects in the air. We have seen three on three separate occasions, they were going at great velocity and they were definitely electrified because we have been working on the same principle for many years and we recognize what we saw. 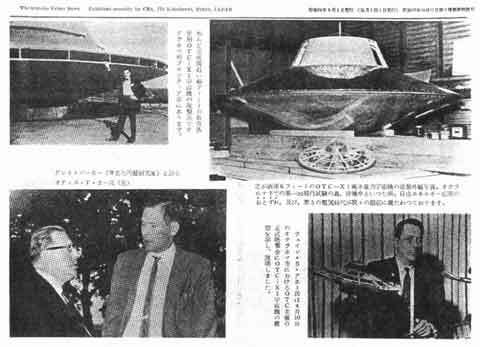 In what way is your invention different from the UFOs, which you have seen? OTC: We do not know, naturally not having been able to examine the objects we saw due to the great velocity, we can't say with certainty that they are similar to ours, but the principle we feel is the same. Our design utilizes gravity, electromagnetism, and electromotive force and a relative field to get its functional operation…It's a central power core. Now this is what we call an 'accumulator.' In a vernacular sense, it is a factory. It is a storage cell, an accumulation of storage cells, which provide an electromotive force in the same manner that any known battery produces an electromotive force. This is Tuesday morning October 29th, 1957....Here is a paragraph that you sent copies of your brochure outlining your system of propulsion that you have developed to President Eisenhower and the Cabinet and the Atomic Energy Commission. Have you received an answer from them? OTC: There was recognition of receiving the material. Beyond that, did they give any value judgment on what you had to contribute? OTC: No, we have not received any value judgment. Don't you think that is a little odd? Is there any way that you can explain it? Were you interested in this before 1955? OTC: Our investigations began in 1937. We were actively making models in 1938. In 1942, we had come up with the basic principles. In other words, 18 years prior to this year, you had in your mind that possibly some type of craft could be developed that you could go into space with? Is that right? Do you hope with this craft, if you are able to manufacture it, that you can go to other planets with it? How many people can you have in this craft? OTC: The one we have on the design board which is 45 feet in diameter, the cabin would accommodate three to be comfortable. And what type of equipment will you have on board of this craft? OTC: On this craft, insofar as the individuals are concerned, can travel the same as in a pressurized airliner. We don't have the problem of a heat shield. OTC: We don't have a problem of thermal barriers because the electro-magnetic system sets up a protective shield in our craft which enables us to overcome this barrier without any discomfort to the occupants inside the craft. And we can very slowly rise, and once we are outside the atmosphere, we can accelerate to tremendous velocities up to the speed of light itself. OTC: Very simply, we can fly at a very slow velocity of 100 feet per minute or less and we can sit down as gently as a feather because part of the operation of our craft has joined universal systems. This is a relative velocity of the attractive inertial mass; it becomes weightless as regards this inertial attraction. Individually, it is not weightless, it has the same weight as before, but when it reaches the relative location, it becomes an independent system just as a planet is an independent system. I believe what you are saying is that you'd be creating an artificial gravitational field within the body of the spacecraft and yet there would not be any gravity on the outside? And this is done by the battery which I attempted to describe, spinning around and producing its own gravitational influence? OTC: Yes, this is the beginning of an answer to your question. We have capacitor plates and electro-magnets as a part of this system. Now this is counter-rotating, the electro-magnets rotate in one direction and the accumulator, the batteries rotate in another. The capacitor plates rotate in conjunction with the battery so that we have a clockwise and counter clockwise rotation. Now the third system is the cabin that maintains the crew. This does not rotate, it is fixed due to the fact the two bodies are rotating clockwise and counter clockwise. Therefore, the system causes the craft to escape from the gravity pull. The craft itself due to this system still has internal gravity because it still has the same weight that it had in the beginning. Would the time factor be involved with this craft? OTC: In our solar system, the time factor would be involved, yes. We evaluate time on the velocity of light and in certain systems, if we exceed the velocity of light, unquestionably the time would slow up. Your craft can exceed the velocity of light? OTC: We don't say this, I say in other systems. I thought nothing could do this, I thought it was a constant factor, one of Einstein's factors. Anything approaching the speed of light becomes pure energy. OTC: Other solar systems, we are completely controlled by our system and here the velocity of light is our yardstick and our pattern and our craft is designed around this...We have invented an electrified system which makes it possible for a propulsion system which put into operation can carry human beings, with a fuel system which is not expendable and take them into space and bring them back and return in this craft. If I had the tools now, and those tools are available in large plants…we could have this craft on the Moon in six months from this date. You were incorporated in 1955 and I imagine you have made an effort to get some money to promote your product. 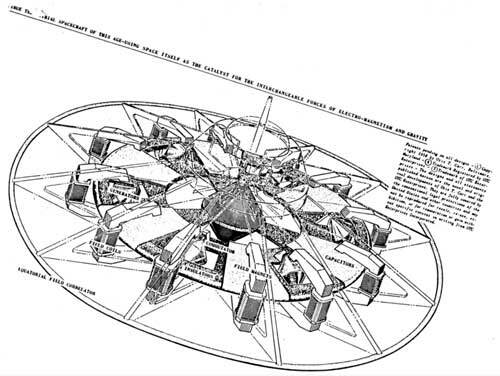 Colton: An offer we made was that the OTC-X1 craft will be parked in any specified area in the Continental U.S. and go one or more times outside the Earth's atmosphere and land within a distance of the Pentagon building in Washington or any other location best suited for public observation. Could a small craft be made to take off? OTC: We plan to build a prototype model as a demonstration device. Now I would like to state certain models have been built by me and tested. Each one has been airborne. One was lost entirely in space. We had a control system and this one didn't function. This has already been done. What do you think about the principle of rockets under certain conditions? OTC: We don't need it. We have a tremendous spin here. An electric motor operates the same way. You set up an electromotive force inside a magnetic field and you get rotation. So what we actually have here is an improved electrical motor which in itself is a circular device. And we say we make energy out of the air, from another dimension…this Earth itself is literally a spacecraft demonstrating what we're talking about. It's rotating and orbiting at a certain constant speed with a magnetic field and it is in itself a spacecraft…We feel outside the Earth's atmosphere new systems of propulsion even beyond our own of electromagnetism will make themselves apparent. The text of this interview was kindly shared by Mike Hughes of Anaheim, California, as reprinted in ENERGY UNLIMITED around 1983, and though very faded in many spots, was typed up by Jerry Decker from KeelyNet. Decker's intention was for it to be copied at other sites on the net for the widest possible audience of interested parties. Project Camelot supports and echoes that intention here. Look at gas prices today; look at the horrible state of a War for Oil. We need a new transportation. We need a new type of CARR. Governments could obsolete the airline industry. The Powers That Be could make oil virtually worthless. With the development of electric disks, you could transport all items and merchandise instantly. Nothing would have to be shipped across country in expensive, large semi trucks. Prices on everything would drastically drop. Anti-gravity, flying saucers, transporters, teleporters, replicators and so much more are scientific realities. We could colonize the planets and go to the stars! What great feats of engineering would be constructed if we had the availability of anti-gravity platforms? We could build the pyramids! Imagine new architecture and towering structures that would be ultimately accomplished. We could build on the scale of our ancient ancestors…if only we utilized super lasers and anti-gravity. Futuristic dwellings that defy gravity are possible. Entire cities could be made to hover in sync with nature. Tesla spoke of the ‘Wonder World’ ELECTRICITY, used fully, would produce. Governments of the 21st Century KNOW how to build flying saucers. Some of the UFOs are ours. What we need most of all is a government that does not suppress a quantum leap, but one that will allow a giant step to benefit its citizens and all of the Earth. But, does the creation of a worldwide, saucer-transportation system terminate the concept of countries? At the same time Tesla was teaching the likes of Carr, Arthur Matthews and Einstein, we should consider what was happening in Nazi Germany. 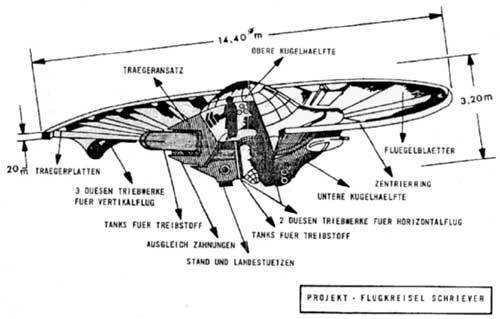 Hitler and his fascist regime of the late 1930s may have also developed the electrified disk known as the ‘saucer.’ The flying ‘electric motor’ is a scientific possibility. Why wouldn’t German scientists be close to discovering the answer? 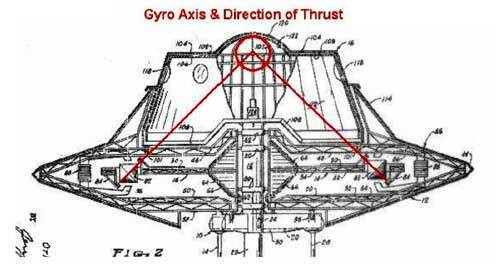 Study Victor Schauberger’s involvement with developing flying disks for the Third Reich. Numerous Internet sites and books deal with the subject of round, Nazi crafts. WHEN WILL WE USE KNOWLEDGE AND TECHNOLOGY TO SAVE THE EARTH?